Can Relics and Sacramentals Relay the Power of God? Some might claim that Catholic teaching on relics and Sacramentals is unbiblical. Really? “So extraordinary were the mighty deeds God accomplished at the hands of Paul that when face CLOTHS or aprons that touched his skin were applied to the sick, their diseases left them and the evil spirits came out of them” (Acts 19:11-12). “So they cast the dead man into the grave of Elisha, and everyone went off. But when the man came in contact with the BONES of Elisha, he came back to life and rose to his feet” (2 Kgs. 13:21). 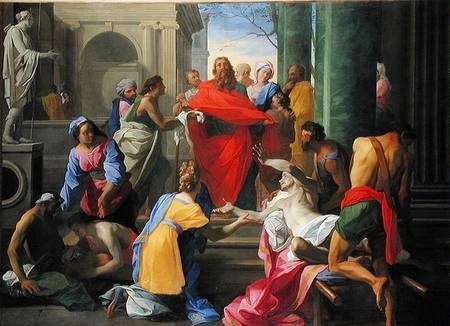 “They even carried the sick out into the streets and laid them on cots and pallets, so that when Peter came by at least his SHADOW might fall on any one of them. Also the people from the cities in the vicinity of Jerusalem were coming together, bringing people who were sick or afflicted with unclean spirits, and they were all being healed” (Acts 5:15). “When [Jesus] had said this, He spat on the ground, and made CLAY of the spittle, and applied the clay to his eyes, and said to him, “Go, wash in the pool of Siloam ” (which is translated, Sent ). So he went away and washed and came back seeing” (John 9:6-7). Initial reply : The Incarnation of Jesus “raised” matter, and His death on the cross was intensely physical. Protestants often speak of “the blood” (Rev. 5:9; Eph. 1:7; Col. 1:14; Heb. 9:12; 1 Pet. 1:2; 1 Jn. 1:7), which is but one of many examples of sacramentalism. The New Testament is filled with many concrete examples or teachings about the “incarnational principle” and sacramentalism. Baptism confers regeneration (Acts 2:38, 22:16; 1 Pet. 3:21 – cf. Mk. 16:16; Rom 6:3-4 -, 1 Cor. 6:11; Titus 3:5). Jesus’ garment (Matt. 9:20-22), saliva mixed with dirt (Jn. 9:5 ff. ; Mk. 8:22-25), and water from the pool of Siloam (Jn. 9:7) all were used in healings. Anointing with oil for healing is also prescribed (Jas. 5:14). The Bible often calls for a laying on of hands for the purpose of ordination and commissioning (Acts 6:6) and in order to heal (Mk. 6:5; Lk. 13:13). Catholics believe in seven sacraments: all of which are established on the basis of extensive biblical evidences: 1) The Eucharist: Lk. 22:19-20; Jn 6:53-58; 1 Cor. 11:23-30; 2) Baptism: Matt. 28:19; Acts 2:38, 22:16; 3) Penance and Reconciliation: Matt. 16:19; Jn 20:23; 1 Cor. 5:3-5 with 2 Cor. 2:6-11; 4) Confirmation: Acts 8:14-17, 19:1-6; Eph. 1:13; 5) Anointing of the Sick: Mk. 6:13; Acts 9:17-18; Jas. 5:14-15; 6) Ordination: Mt. 18:18; 1 Tim. 4:14; 2 Tim. 1:6; 7) Matrimony: Matt. 5:31-32, 19:1-9; Eph. 5:21-33. 2 Kings 13:20-21: So Eli’sha died, and they buried him. Now bands of Moabites used to invade the land in the spring of the year. 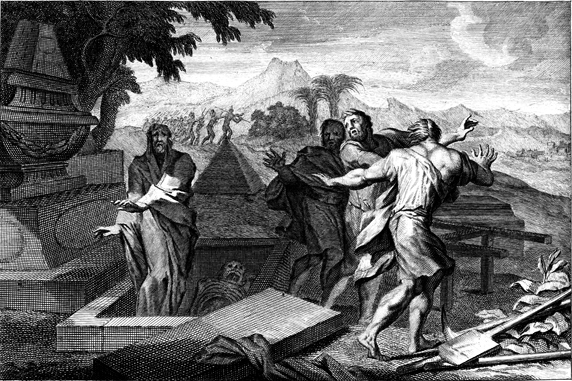 And as a man was being buried, lo, a marauding band was seen and the man was cast into the grave of Eli’sha; and as soon as the man touched the bones of Eli’sha, he revived, and stood on his feet. 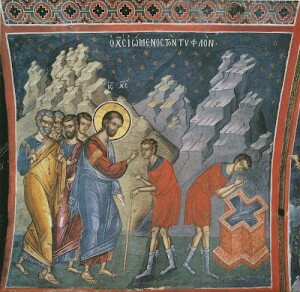 Examples of second-class relics (objects that came into contact with holy people) are also clearly found in passages about the prophet Elijah’s mantle, which parted the Jordan River (2 Kings 2:11-14), and Peter’s shadow (Acts 5:15-16) and Paul’s handkerchief (Acts 19:11-12), used by God to heal sick people and to cast out demons. If all of this is “magic,” then it is a sort of “magic” directly sanctioned by God Himself. 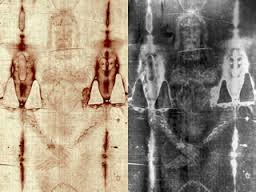 Plenty of Protestants are also fascinated and intrigued by the Shroud of Turin, which is an extraordinary secondary relic related to our Lord Jesus. That is an object, too; a mere piece of cloth. But would any Christian treat it like any other cloth and tear it up for rags to dust with? Of course they would not, because it was connected with Jesus and has miraculous properties (like Elisha’s bones): a supernaturally produced image. Therefore it is highly regarded and revered. It all goes back to God and His great works, using matter. 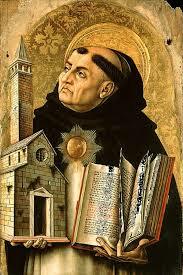 Sacramentalism and relics flow from the Incarnation: God Himself taking on flesh and matter and becoming man. The death of Christ is the universal cause of man’s salvation: but a universal cause has to be applied to particular effects. 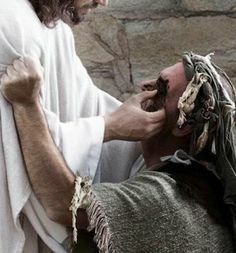 Thus it was found necessary for certain remedies to be administered to men by way of bringing Christ’s death into proximate connection with them. Such remedies are the Sacraments of the Church. And these remedies had to be administered with certain visible signs: — first, because God provides for man, as for other beings, according to his condition; and it is the condition of man’s nature to be led through sensible things to things spiritual and intelligible: secondly, because instruments must be proportioned to the prime cause; and the prime and universal cause of man’s salvation is the Word Incarnate: it was convenient therefore that the remedies, through which that universal cause reaches men, should resemble the cause in this, that divine power works invisibly through visible signs. Next post: Arrival in Israel…Pilgrimage Begins!